Acacia gum, also known as arabic gum, comes from the acacia senegal tree in Africa. It is added to pharmaceuticals for its demulcent, or coating, properties and used medicinally in natural treatments for respiratory, digestive and skin problems. It is also added to foods for many purposes, such as to thicken, stabilize and to help oil and water mix together. However, acacia comes with some side effects, so use caution with foods containing it and talk to a doctor before using it medicinally. There are different qualities of acacia gum, dependent on the method of its extraction from the tree; the naturally obtained gum is the best quality. The cheaper, lower-quality gums are often sold as gum under the name Arabic. Drugs.com explains that this type is not widely classified as a food additive because its safety is not determined. Acacia is considered nontoxic when taken in food or medications. 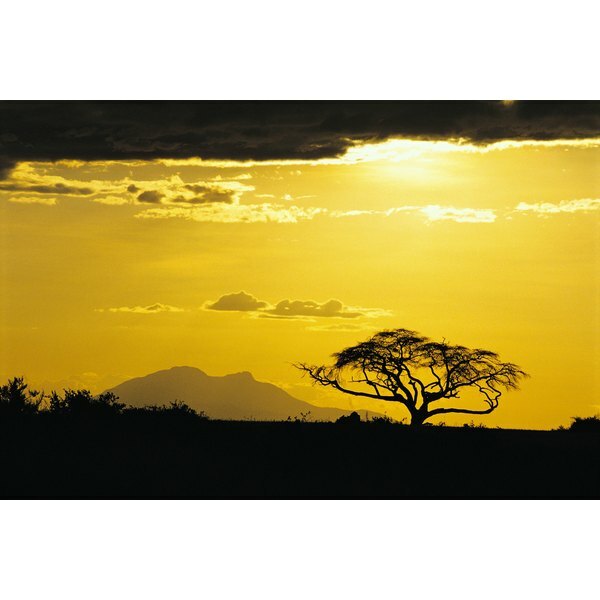 However, there are certain side effects that have resulted from taking acacia in this way or by breathing its dust. For one, acacia might increase your cholesterol levels. Also, it has caused allergic reactions in some people, such as skin lesions and respiratory concerns. When given in IV form, as was done in the past for certain medical conditions, acacia has caused damage to the liver and kidneys. Acacia can interact with some medications with alkaloids, and it interferes with the absorption of certain vitamins when an enzyme in it is not deactivated via heat. It also counteracts the antibacterial properties of methyl-p-hydroxybenzoate, a preservative. However, more research is needed to determine any other possible medication interactions it might have. Talk to your doctor or pharmacist as to whether or not to take acacia with specific medications. Overall, there is not enough research on acacia fiber to determine all of its possible side effects and drug interactions. You should use caution with the ingredient until more research is performed. Drugs.com especially warns that there is not enough research related to acacia gum and pregnant or nursing women.